Maintain Tesla Supercharger etiquette by notifying others when your charging stall is available. I found myself low on charge today while I was out and about. A late night car wash Monday night due to an overloaded weekend messed up my normal routine so I didn’t plug in for my nightly charge. Normally I can probably go about 2 days on a charge, but yesterday was unusually heavy mileage and I faced more of the same today. I swung buy the Tesla store in the AM to see if I could grab a quick charge before lunch but the two HPWC’s were occupied with test drive cars. I was out of luck, so I went to work and ran my post lunch errands as usual. With 51 miles of rated range left and a 50 mile commute home ahead of me, I swung by the Tesla store again in hopes to find an empty charging stall. Lucky for me a test drive event had just ended. The Tesla employee helpfully moved the car so I could plug in. 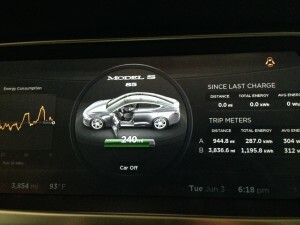 I needed enough charge to get home and estimated that a 100 miles of rated range would suffice. It was an unusually warm day for Massachusetts and I knew I had to account for the extra power consumption due to having the A/C on. Disrupt my afternoon and come back when I had my charge. 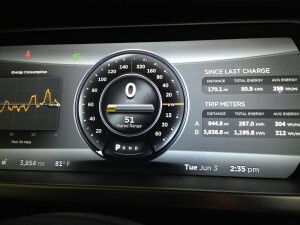 Use the new SuperChargerQR App to communicate with other Model S owners in need of my charging stall. Leave an old fashioned paper note on the dash with my phone number. The SuperchargerQR process requires you to download the app, print your unique QR code and leave it on your windshield. Other owners in need of a charge can notify you that they're waiting for a charge if they also download the app and scan your QR code. 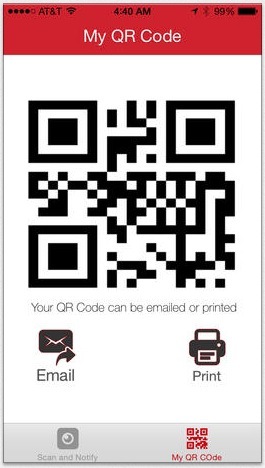 The only problem I have with this is that not everyone knows what a QR code is, not to mention that this requires a smart phone (yes, this is true). I notified the author of SuperchargerQR that it would be great if the app would also allow me to add in additional notes to the QR printout, which it does not at the moment. So, I decided to go the super lower tech route and just leave my basic info on a piece of printed paper on my dash. It's nice and big and I leave it on the dash in front of the steering wheel. Obviously thats not my actual phone number in this post, but one thing I'd recommend is using something like Google Voice. With a Google Voice number it rings my desk and my cell phone at the same time and has has built-in spam protection. For instance you could configure it so that callers are required to provide information before Google Voice rings you. In the end, nobody called me to move the car but I assume they would have if they really needed a charge. 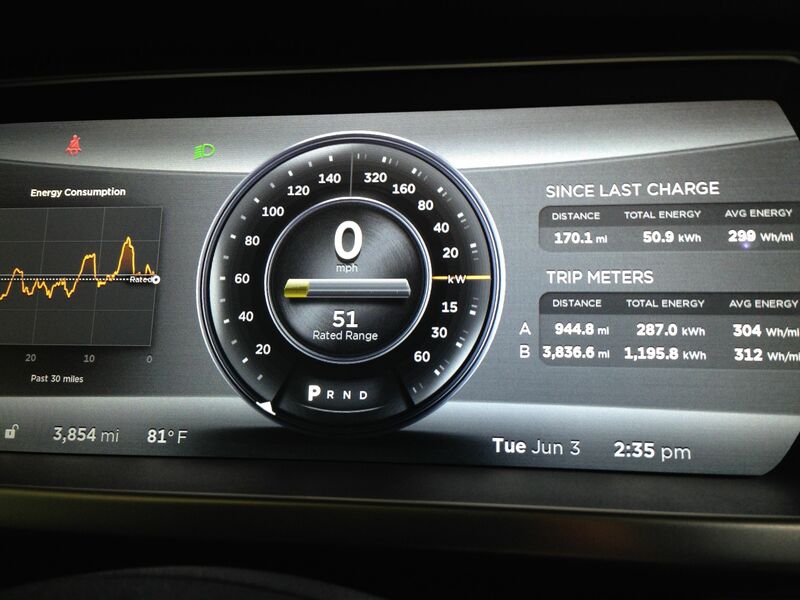 I worked late enough that I came back to the car with a full 90% charge, 240 miles of rated range. 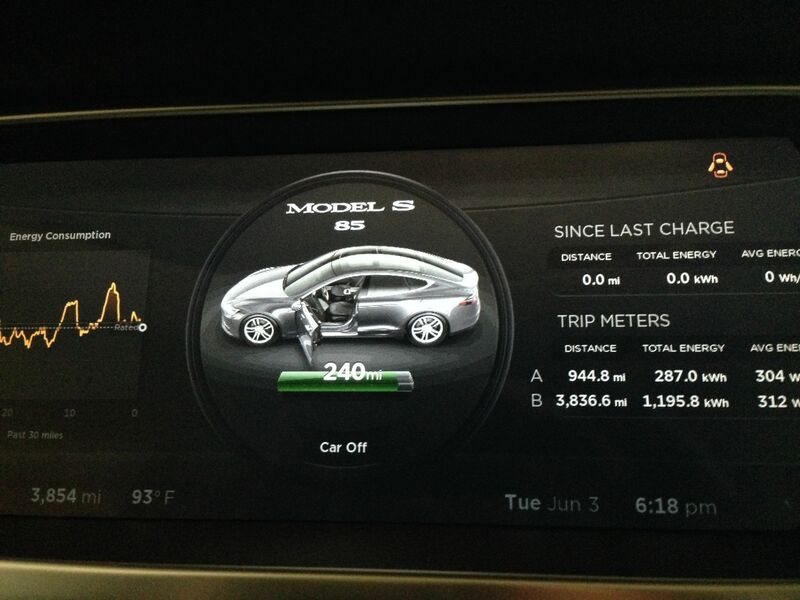 189 miles of rated range added in just under 4 hours from a Tesla HPWC. It's our duty as EV owners to practice some basic charging etiquette to ensure other fellow Tesla or EV/hybrid owners aren't stuck waiting for a charge stall that you've occupied and no longer need.